Bees are one of the major groups of insects, numbering about 20,000 described species. However, only a very small proportion of bees are honeybees or bumblebees – most species are actually solitary. Bees exist in a great diversity of shapes, sizes and colours. In particular, the smaller species do not look like bees at all and are often mistaken for small wasps or flies. Many bees are specialised as pollinators and have evolved together with flowering plants for over 100 million years. In return for pollination services, plants provide nectar, pollen and other substances to bees. The wonderful variety of bees and flowering plants that we see today is a result of this close relationship. Although most are specialist pollinators, about 10 per cent of bee species are parasites of other bees, taking advantage of the nectar and pollen collected by their host to feed their own young. These parasitic bees can be quite strange in appearance – not needing to collect pollen, they have typically lost most of their hair and appear more like wasps. 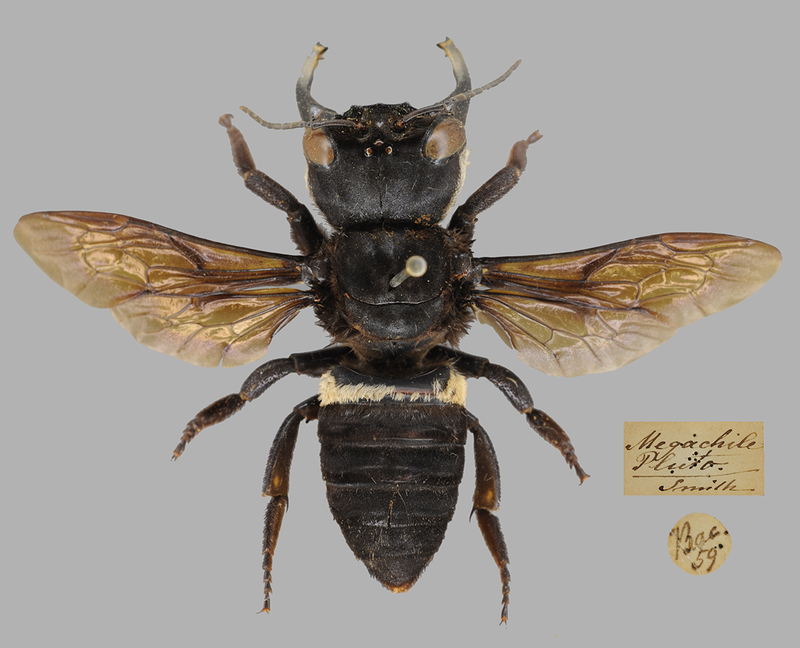 Wallace’s giant bee is the world’s largest bee. The specimen shown below is one of the Museum’s greatest treasures and is on open display for the first time. It was captured by the Victorian explorer and naturalist Alfred Russel Wallace in 1859. Only found on the Indonesian island of Bacan and its two neighbouring islands, this giant was believed to be extinct until it was rediscovered in 1981. The massively enlarged mandibles of the female are used for collecting tree resin and excavating tunnels in termite nests. Want to view more past Museum displays?